When we think about nutrition, it makes sense that we first think about healthy food. When you are as passionate and focused on a mission as the team here at the Food Bank, it’s easy to fall into the habit of thinking of nutrition as only referring to the type and amount of food people eat. However, it is also important to remember that real nourishment also deals with healthy living as a whole. 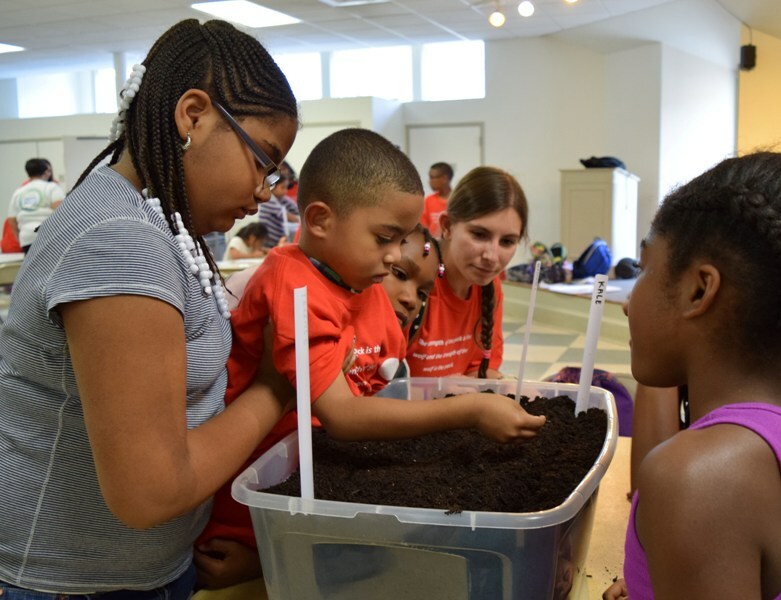 Volunteers from NC State and Biogen teach children how to plant their own container gardens at a Kids Cafe in Chapel Hill. The amazing partners who run our Kids Cafe programs know this better than most, as they work every day to provide safe, educational, recreational, and nutrition-focused after-school spaces for the children in their communities to enjoy. The volunteers and staff who run these sites know that through their services, they are not only providing a healthy meal and snacks for the kids they work with, but critical enrichment such as academic assistance and exercise to help them stay healthy mentally and physically. With 27 separate Kids Cafe sites in 24 different counties throughout our 34-county service area, we truly believe that the Kids Cafe model is a great way to serve the often demanding needs of hungry kids as well as their families. 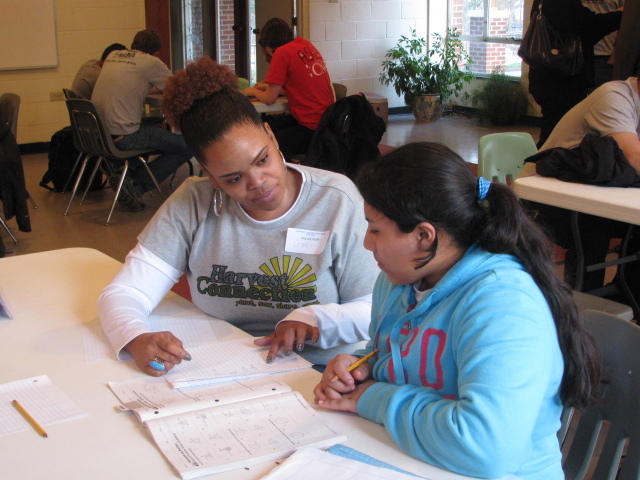 A child receives help with homework at a Kids Cafe in Raleigh. Active growth in the amount of community support and involvement of their program, reaching out to engage their entire neighborhood in the fight to educate children and eradicate hunger. During this year’s Standards for Excellence Celebration coming up on March 30, we hope to have many of our Kids Cafe sites gather together and share resources, as well as provide a space for our partners to celebrate their accomplishments over the last year. With food, giveaways, and activities for the kids, we hope that this celebration will provide a moment of respite during the long stretch of the school year when our programs most need a hand. During this event, this year’s four winners of the Standards of Excellence Awards will be announced and given a $1,000 prize to help supplement their growing programs. It is a time to celebrate, to recharge, and to approach nutrition as the nourishment of the bodies, the minds, and the hearts of the children in our communities. 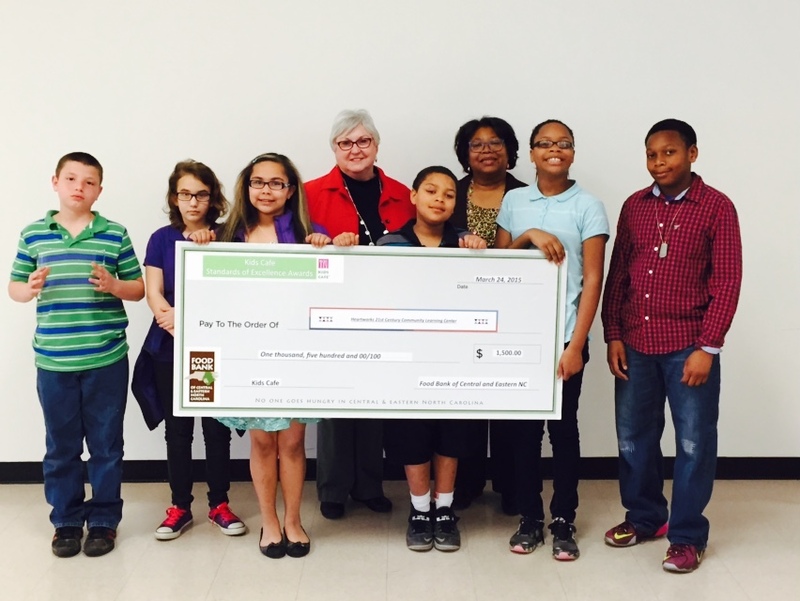 Heartworks 21st Century Community Learning Center received the “Best All Around” award at our 2015 Standards of Excellence Awards along with a $1,000 grant to expand their program.